It’s that time of year. Dublin City is rammed, there are fewer choccies left in your advent calendar, and you’ve already lost your granny twice in Arnotts. And, this Christmas, the Liberty Hall Theater has got its tinsel back. 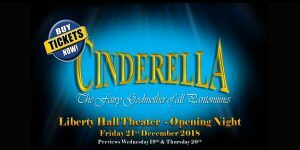 Yep, there’s a panto coming to the Liberty Hall Theater Dublin 2018. It’s ‘Cinderella’. Praise be to Santa! Pantomime factory Tempus Productions has splashed out. Their production pulls out all the stops, boasting a star-studded cast this year including Adam Weafer (Red Rock & Coronation Street) & John Lovett (Red Rock & The Tudors) But is this a triumphant return to the North-side of the Liffey to one of the best theaters in town? You’ll have to wait and see. Join us this year to see if poor old Cinders will get to the ball. That’s if her two ugly stepsisters are not up to their usual tricks. But, with the help of her faithful friend Buttons and the Magical Fairy G, it can only be fantastic. What more could a panto ask for I hear you say? Well get your tickets soon for the Fairy Godmother of all pantomimes to find out. 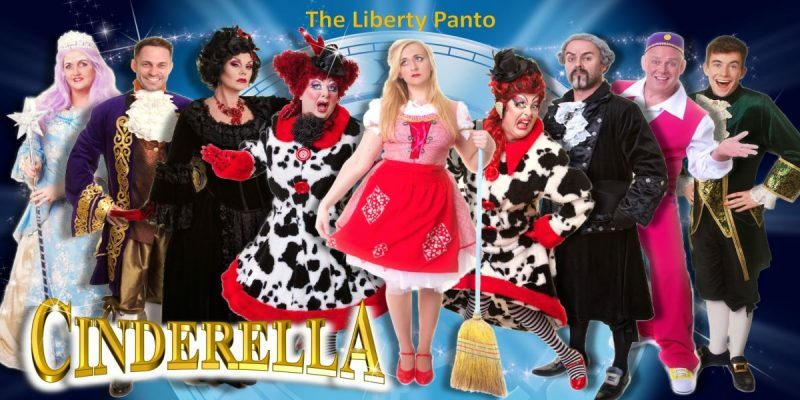 “Where will we go?…to the Liberty Panto! See you there!! !